Ideas for dates, gifts, and keeping a healthy, happy relationship alive. Probably the most successful present I have ever made my boyfriend was a spin on a scrapbook of every date and significant moment we shared in our first year together. He had been asking me for a scrapbook of us as a present, and when I went to Michael’s to pick one out, I came across the SMASH book materials. 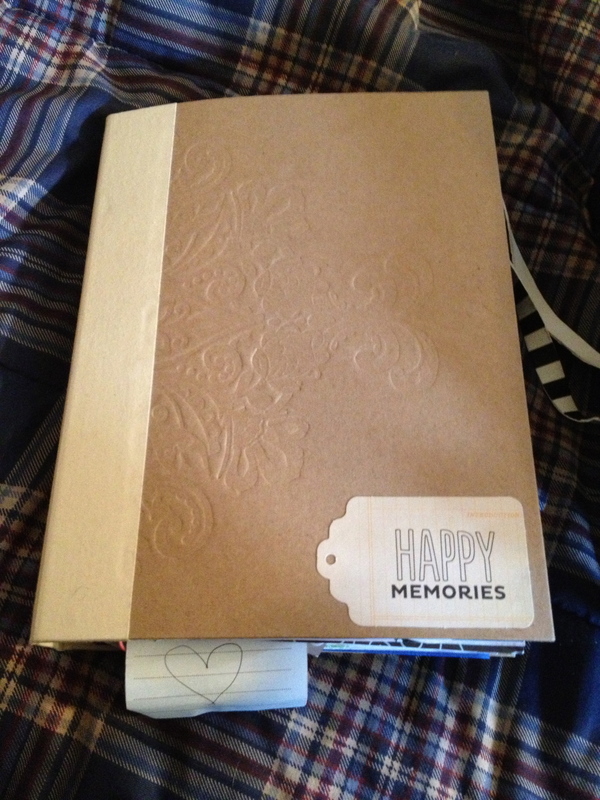 The basic idea of a SMASH book is that it is filled to the brim with memories, stuffed with everything from notes, ticket stubs, pictures, calendar pages, and anything else significant to what you are recording. It’s like a scrapbook on crack. 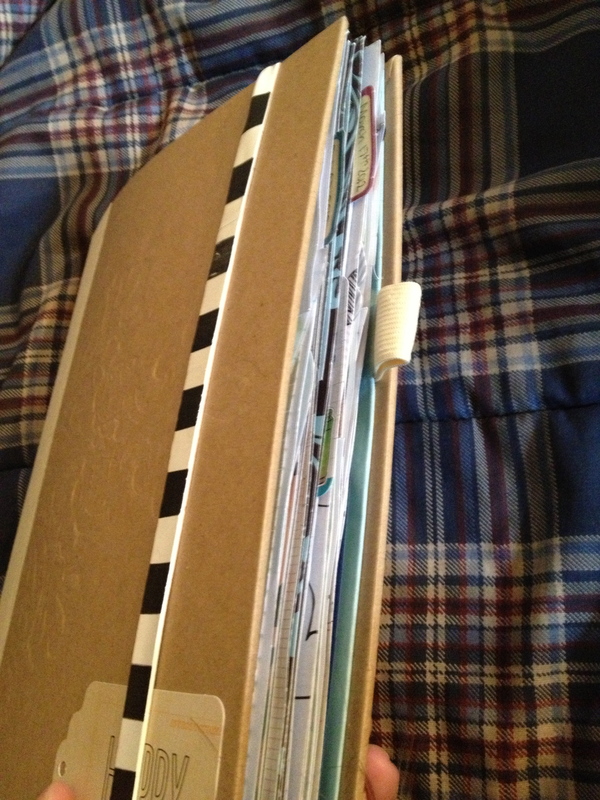 It seemed more casual and creative than a pretty and proper scrapbook, and I loved the idea. He loved it so much he asked for one every year for Christmas, of the past year we had spent together. I’m currently working on volume 2. There are many different ways you can go about this, which is the best part. SMASH has many different themes for the books available. 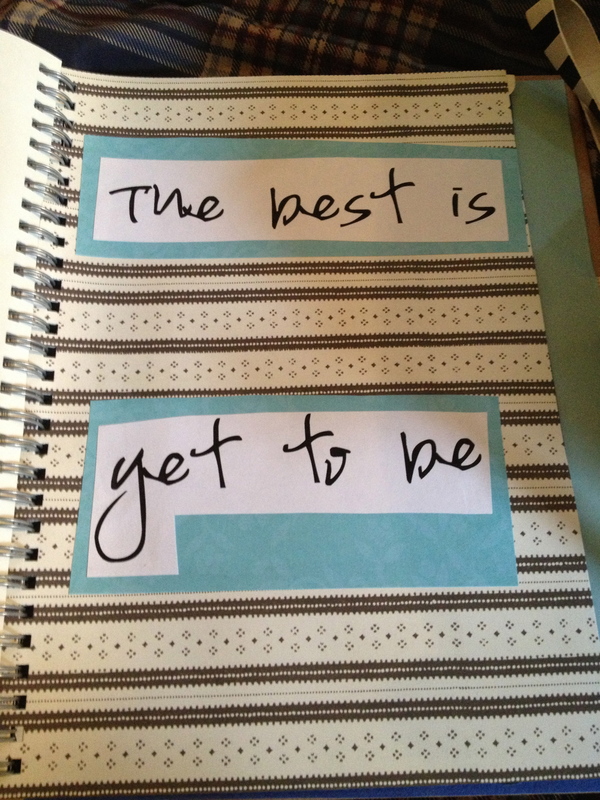 Unlike scrapbooks, it comes with pages already in it, some patterned, some with quotes or doodles on them. I bought the wedding themed one because it had a lot of relationship-themed pages. 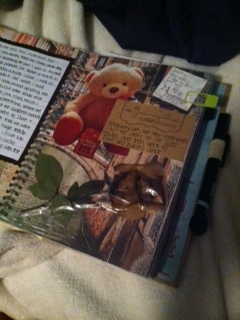 Some didn’t fit- like a bridesmaid page etc, and I just glued scrapbook paper over them or ripped them out entirely. They also have several different sizes of books. The one I am doing now is giant, about the size of my 13 inch macbook air. Now I definitely mixed it up with the pages, but you can do whatever you want. 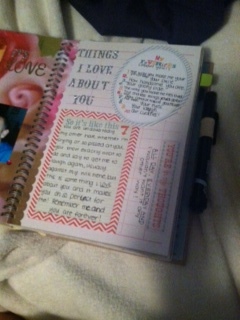 I downloaded cute fonts and printed out lyrics from our songs and used those on pages with our pictures (which I’m not posting due to anonymity), and other pages ranged from “reasons I love you” to significant dates, like the night he asked me out, with a letter of my entire memory of that night tucked in the pocket. SMASH has many accessories for the books, from pockets to calendars to dividers to little notes to tuck in the pages. 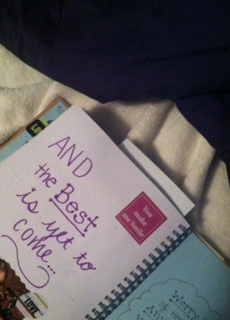 This is what he saw when he opened the book. Inside the pocket is a letter explaining the concept of the present- its a book filled with all our memories of our first year together so when we’re old and senile we will never forget a single moment of the beginning of it all. The first page is an example of the pages that come in the book. I didn’t do anything to the first page because I liked it just the way it was. 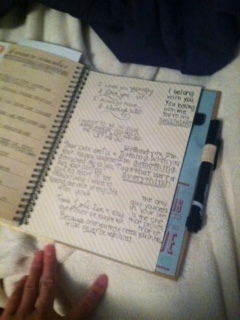 These pages were dedicated to the night he asked me out. I used the calendar page to mark the date, made a copy of the movie ticket from that night and framed it on the next page, and in the pocket is my story of the whole night. And this was the last page! Referencing all we had to look forward to. These are just some of my sample pages, you can do anything you want with it, and that’s the best part. With Christmas coming up, now is the perfect time to start it as it does take some time. I completed this one in a little under a month but I was working on it almost everyday, and as you can see, it turned out pretty thick. Best of luck! This entry was tagged gift ideas, smash book. Bookmark the permalink. Hi! 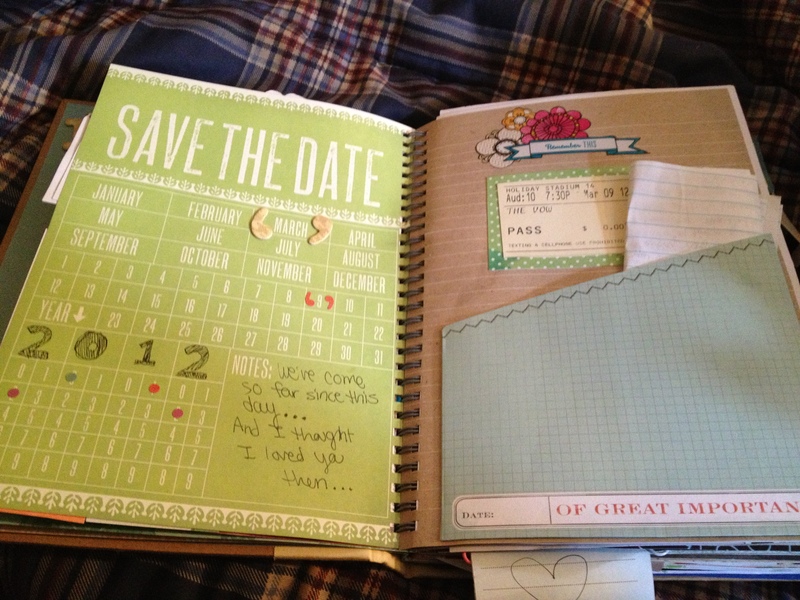 I really love this idea because my boyfriend likes sentimental gifts rather than material ones. I’m not really so creative though. I was wondering if you bought the book like it is or if you added the different pages to it (calendar,etc.)..? If you purchased it could you please tell me where from? every page in the book comes decorated (like calendar etc) but some of them I didn’t like so I covered with scrapbook paper and redid them. like I said in the post materials can be found on amazon.com, from Michaels or Target. They are SMASH brand. 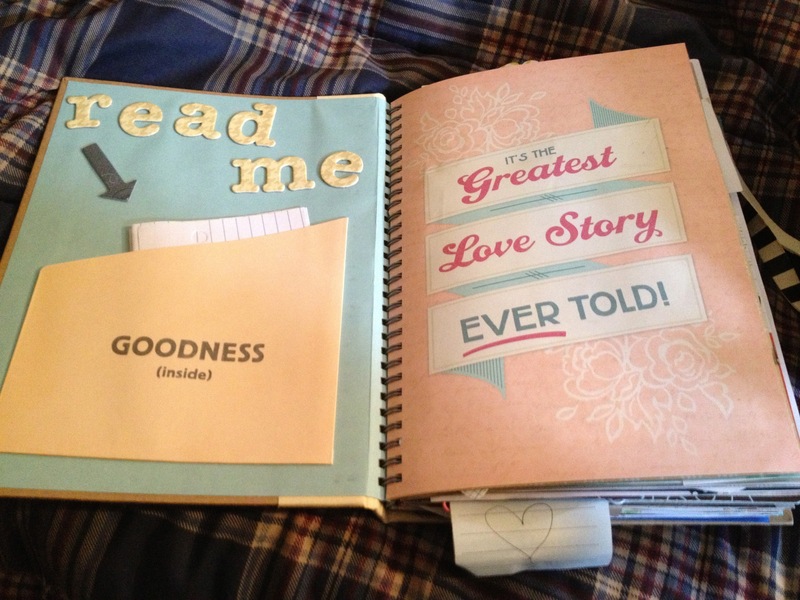 just curious how many pages do you have in your little book because i absolutely love this!!! !